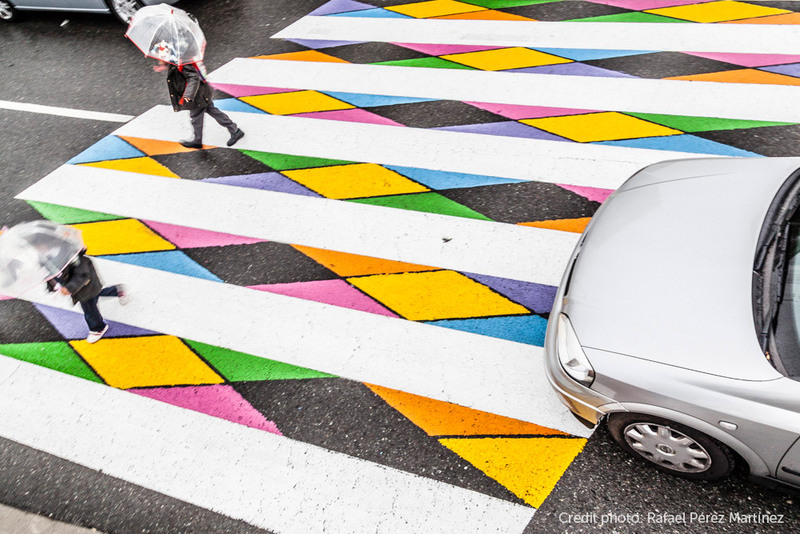 FUNNYCROSS uses zebra crossings to intervene in the urban landscape. The metaphor “A bridge between two shores” is the starting point of this artistic intervention. Using simple geometrical designs and saturated colours reinforces the specific signaling and creates a touch of colour in our urban landscape. This action, parallel to the art concept, fights toward improving driver and pedestrian focus, by enhancing respect for zebra crossing using its visual impact. Clara del Rey, 2 - 4º Dcha.